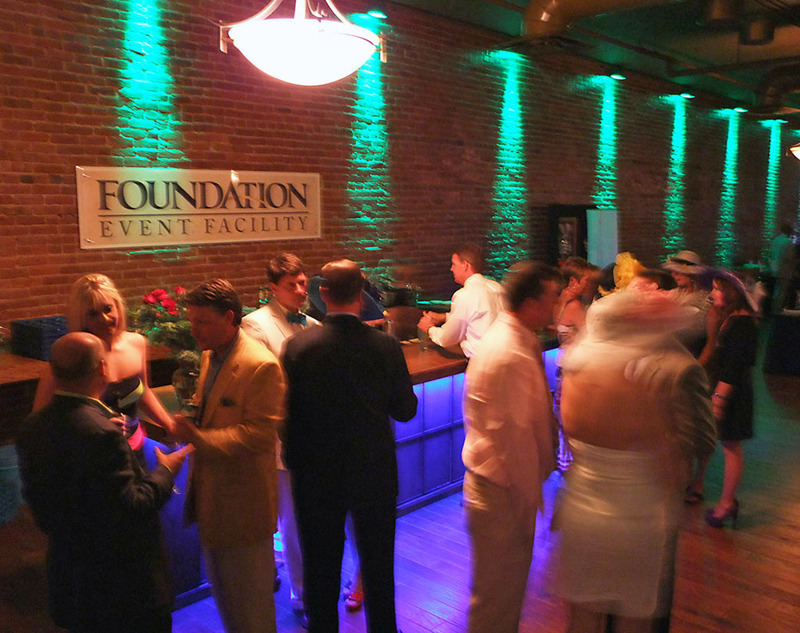 The Northeast State Foundation will turn Bristol’s Foundation Event Facility into a miniature Church Hill Downs May 4 with a fund-raising event that features hats, roses, food, music, and fun. NeSCC’s Derby Day returns to downtown Bristol. Last year, the event raised more than $10,000 for scholarships, and Dr. Heather Cook, executive direction of the Foundation, said plans are under way to make the occasion even bigger and better this year. Cook said the event will feature wall-sized video screens for viewing the race, a silent auction, a hat contest, and live music by the Spirit of Soul Dance Band to round out the evening. The facility is located at 620 E. State St.
For more details, visit www.derbynortheast.com. Tickets for the events can be purchased online or by calling 423.279.7630. What’s bruin at Northeast State? A new mascot! Northeast State has a new mascot. Thousands of online ballots were cast and a majority of voters selected the BEARS as the first mascot name to represent the College! The voting results were revealed today in the Wellmont Regional Center for the Performing Arts Theater on the main campus at Blountville. Voters selected the Bears over the Owls and Jets mascot options. A Bear mascot will represent the College at various events as a goodwill ambassador. Bears represent one of the most recognizable and awe-inspiring animals of our region and in the whole of North America. References to bears are found in ancient and modern literature, folk songs, legends, mythology, and children stories. Bears are among the first animals that children learn to recognize. The College sought to establish a symbol to represent college pride and reflect a regional identity for the public. Northeast State surveyed students, alumni, faculty, staff, and community members to develop creative ideas for the campaign. Northeast State wishes to thank everyone who voted and all the project’s contributors for their work and support. College coursework presents a challenge to a student living in a comfortable environment. The challenge is magnified when the student lacks money or even a regular food supply. Faculty and staff of Northeast State Community College endeavored to help students in need of food assistance through a pilot project with a regional food bank. The College’s Student Needs Project partnered with Second Harvest Food Bank as a destination for their Mobile Food Pantry to serve to students. 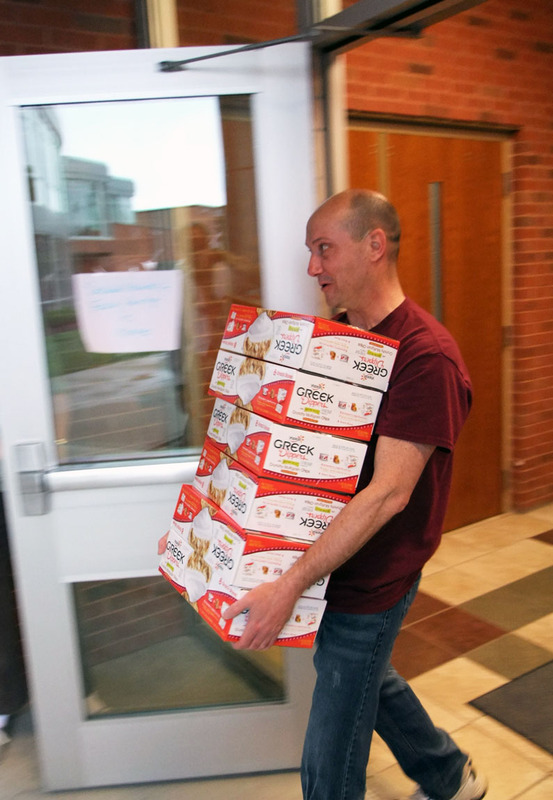 Staff and student volunteers organized the first food deliveries made to the main campus on April 19 and designated for 45 in-need students. 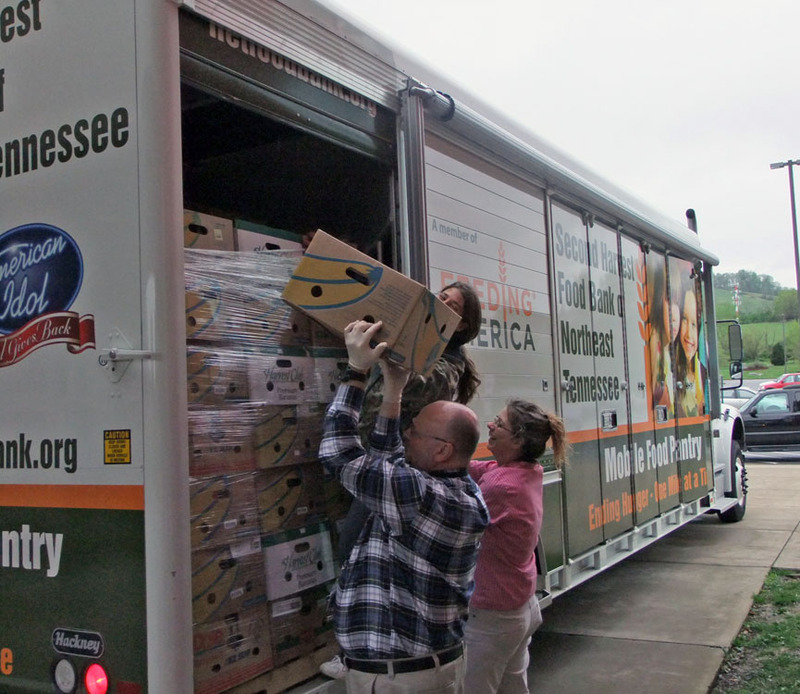 Northeast State volunteers unload the Mobile Food Pantry. A $5 donation from a pantry partner provides a student with 40 pounds of food. Donations are solicited from individuals across campus not from students in need. Faculty and staff members donated funds to cover the truck’s fuel costs and charges on this first trip. Steward initiated the project as an assignment for a graduate level course she is taking at East Tennessee State University. She contacted Second Harvest about the mobile food pantry earlier this spring. The Student Needs Project hopes to see the pantry make one delivery per month beginning in fall. 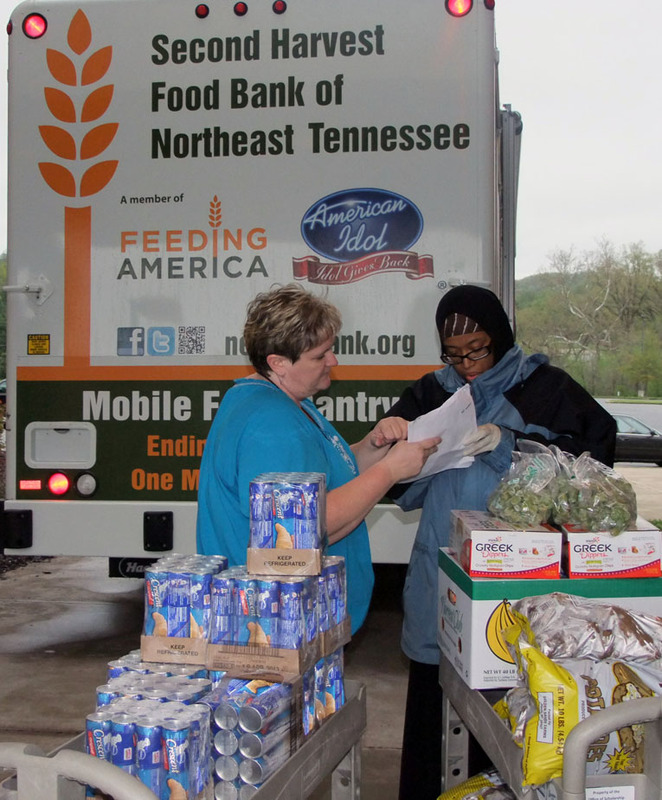 The mobile food pantry vehicle delivers perishable and non-perishable foods to participating organizations. The vehicle used by Second Harvest was provided through the “American Idol” television show’s charitable efforts. Student Needs Project coordinator and mathematics instructor David Haga. Haga took the helm of the Student Needs Project last fall during the Because of You fundraising campaign launched by the Northeast State Foundation. He said the project aimed to offer food assistance for up to 60 students once each month during seven months of the 2013-2014 academic year. He added the Northeast State at Kingsport and Elizabethton sites could be added as delivery points this fall. Northeast State Community College welcomed 93 new members to the Alpha Iota Chi chapter of the Phi Theta Kappa International Honor Society for the 2013 spring semester. The new members were welcomed into Alpha Iota Chi during an induction ceremony held April 21 at the College’s main campus in Blountville. The ceremony was led by Jane Honeycutt, the chapter’s faculty advisor and coordinator of the Northeast State Honors Program. The newest members of Alpha Iota Chi are: Jordan Appiah-Kesse; Tyler Arnold; Maria Beteta; Lauren Beuttel; Tiffani Bigelow; Donald Black; Jonathon Blackwell; Emmaline Bragg; Lori Burnettee; Kalena Butts; Tia Campbell; Tia Campbell; Sheryl Chapman; Jefferson Coalson; Patricia Coonley; Mary Cordero; Jonathan Creger; Mary Crowe; Christina Crowl; Elaine Cuddihee; Amy Dotson; Daniel Durbin; Rachel Durham; Stephanie Ernest; Alyssa Fair; Mallory Grey; Laurel Gustavsen; Brittany Hammitt; Courtney Harkleroad; Jamie Harris; Brooke Hartley; Steven Haun; Lindsey Hicks; Joshua Hinkle; Kayla Hobbs; Hannah Hopper; Marc Huening; Katie Hyatt; Lacey Hyatt; Alicia Jantzen; Blake Johnson; Lori Jones; Glenna Kassem; Paige Kelly; Melissa Kendrick ; Virginia Ginny Ketron; Joy Kissel; Ryan Knowlden; Tyler Knowles; Christopher Krajeck; Rebeka Lane; Ann Maines; Jennifer Marshall; Sarah Maxwell; James McCracken; Amanda McCracken; Christopher McGinn; Cassie McGrory; Savannah McKee; Natasha Miller; Nicole Neilson; Randa Norton; Holly O’Brien; Shannon Otterbine; Matthew Parker; Jennifer Pate; Joe Pendergrass ;Jasmine Potter; Amber Quillen; Timothy Rice; Asten Rice; Cory Richardson; Austin Rowell; Katelyn Salyers; Stephen Saults; Elizabeth Savinsky; Scott-Michael Scarbrough; Jessica Shoun; Dustin Silcox; Odette Simons; Bridgette Smith; Isabella Smith; Travis Sproles; Joshua Stansberry; Hannah Stevens; Amber Sturgill; Bonnie Tankersley; Edward Teal; Tracy Wagner; Cassandra Walls; Samuel Wells; Mackinzie Whitener; Matthew Wineman; and Jeff Woods. 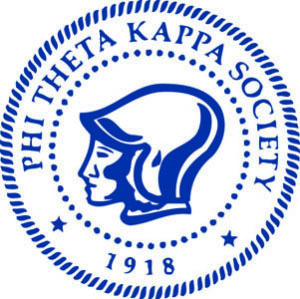 To qualify for membership in Phi Theta Kappa, a student must be enrolled full-time in an associate degree program, have completed at least 12 hours of college-level coursework, and have a minimum 3.5 grade point average. A college’s Phi Theta Kappa chapter extends membership invitations to students meeting these criteria. 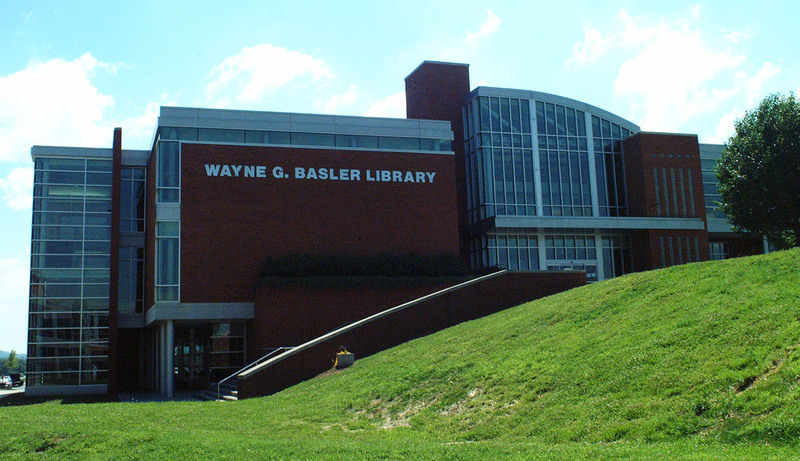 Beginning with National Library Week (April 14 – 20, 2013) and continuing through May 3, the Basler Library is conducting its annual Student Survey (User Satisfaction Survey) and would appreciate your participation. The survey helps gauge what students and library patrons think the Library does well – they also help determine where the library might improve upon its provision of services and/or resources. Numbers do matter – the more completed surveys submitted the more appropriate responses can be. Ultimately this benefits the students more than anyone else on campus. Please take a few minutes and let us know what you think. Thank you for your participation.